Wonderfully maintained home located in Fairhills of Canterfield. This "Devonshire" model sits on a premium lot with back yard. 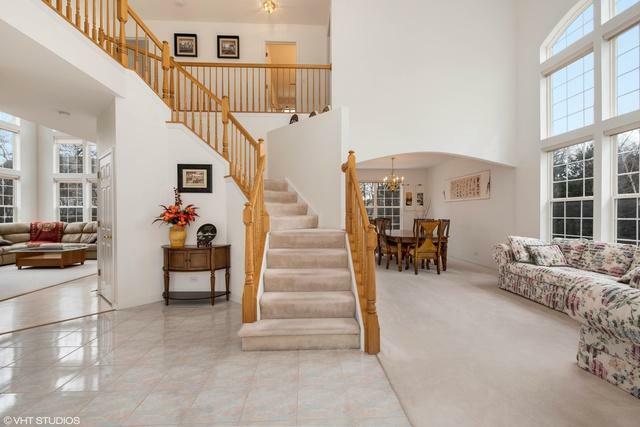 Enter into vaulted ceiling foyer to view this lovely home. 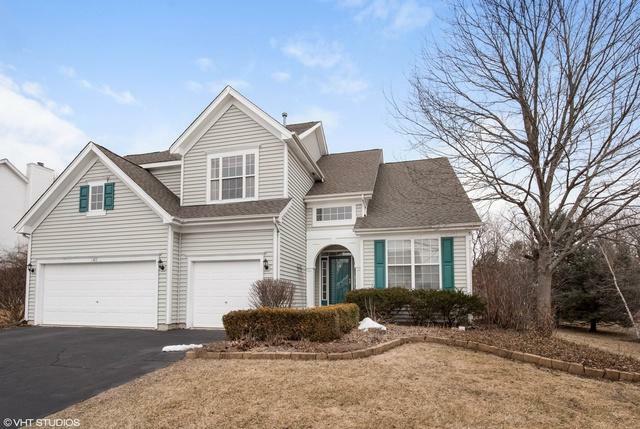 This 2 story 4 bedroom, 2.5 bath has so much to offer. 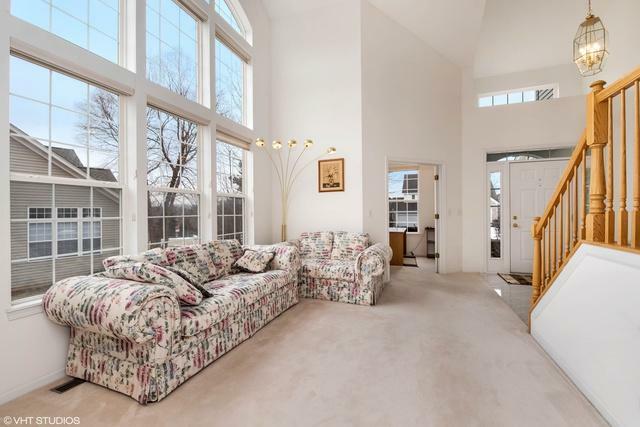 High 18 feet ceilings at the entry Foyer, Living room and Family room with lots of windows for natural light. 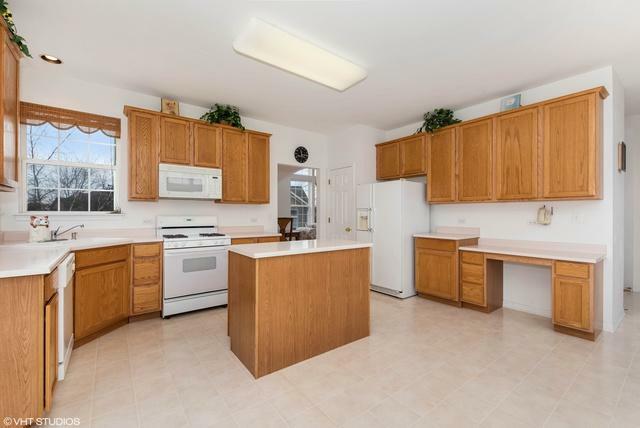 Large kitchen opens to the family room, has a center island, pantry, and an adjacent breakfast eating area overlooking the backyard. Main level office is perfect for work at home days. The basemen is spacious and is ready to be finished and has additional crawl space for storage. So many updates in the home including new single garage door (2019), water heater (2019), A/C (2013), roof and siding replaced (2008). Near expressway, Shopping, restaurants, Fox river and more. Floor plan under additional information. © 2019 Midwest Real Estate Data LLC. All rights reserved. IDX information is provided exclusively for consumers' personal, non-commercial use and may not be used for any purpose other than to identify prospective properties consumers may be interested in purchasing. Information is deemed reliable but is not guaranteed accurate by the MLS or T2K Properties | HomeSmart Connect. The data relating to real estate for sale on this website comes in part from the Broker Reciprocity program of Midwest Real Estate Data LLC. Real Estate listings held by brokerage firms other than T2K Properties | HomeSmart Connect are marked with the Broker Reciprocity logo or the Broker Reciprocity thumbnail logo (a little black house) and detailed information about them includes the names of the listing broker. Some properties which appear for sale on this website may subsequently have sold and may no longer be available. NOTICE: Many homes contain recording devices, and buyers should be aware they may be recorded during a showing. Data last updated: 2019-04-22T09:51:43.323.